4 Bdrm Detached Bungalow. Hall. Cloakrm with wc. Lounge/Dining rm. 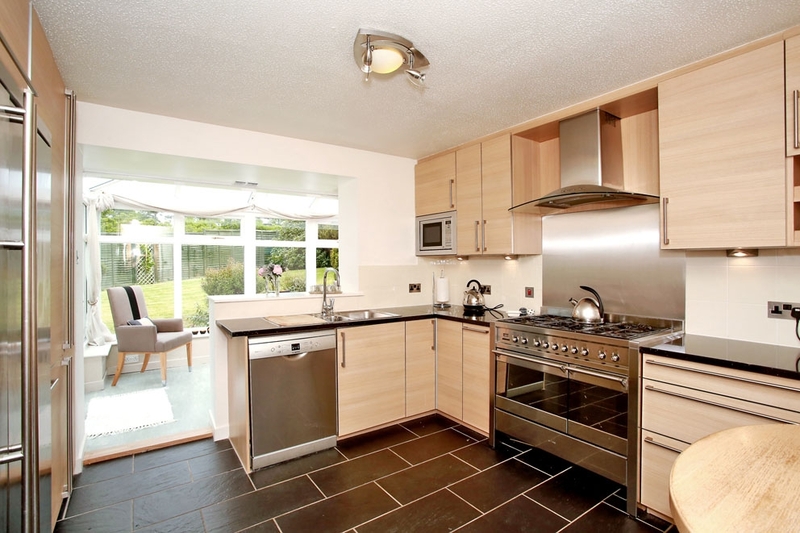 Breakfast kitch/Conservatory on semi-open plan. 4 Bdrms. 1 with ensuite. Bathrm (CT Band - G). Garden. Garage. Parking. Price over £367,000 Entry by arr. Viewing contact solicitors. (EPC band - D). 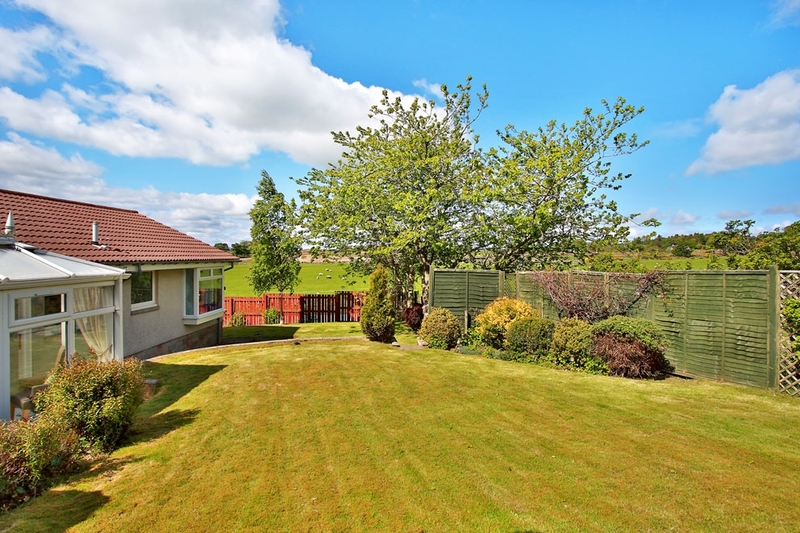 We are delighted to offer for sale this beautifully presented four bedroom DETACHED BUNGALOW which is located in a small exclusive cul de sac to the very end of Contlaw Road. 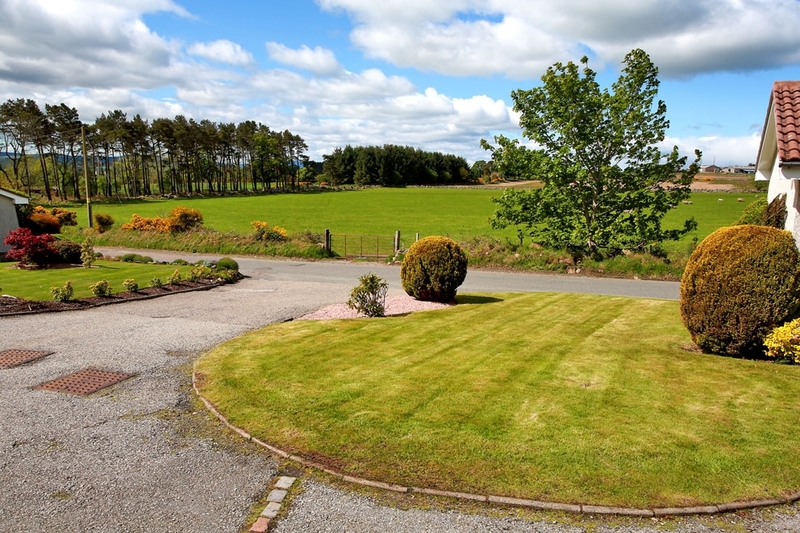 The property enjoys outstanding views across the surrounding countryside and is set within immaculate garden grounds. 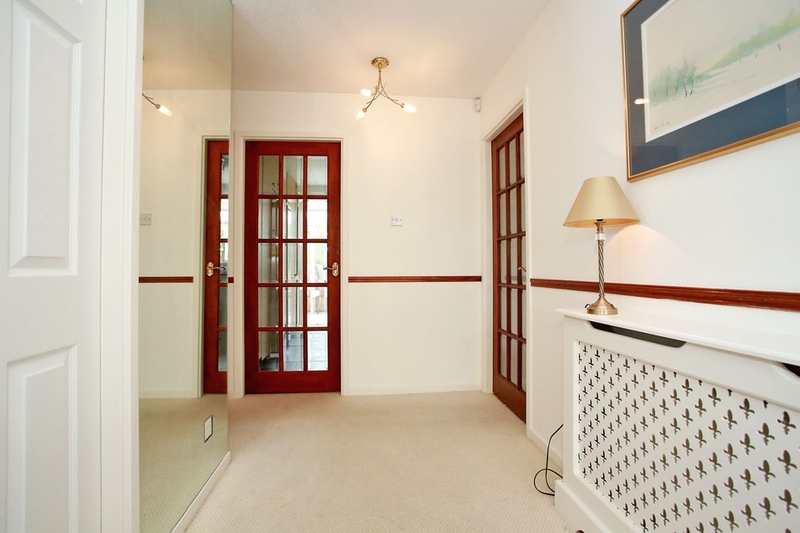 The entry hall provides two excellent storage cupboards and gives access to the cloakroom which features a modern two piece suite, opaque window and tiled flooring. 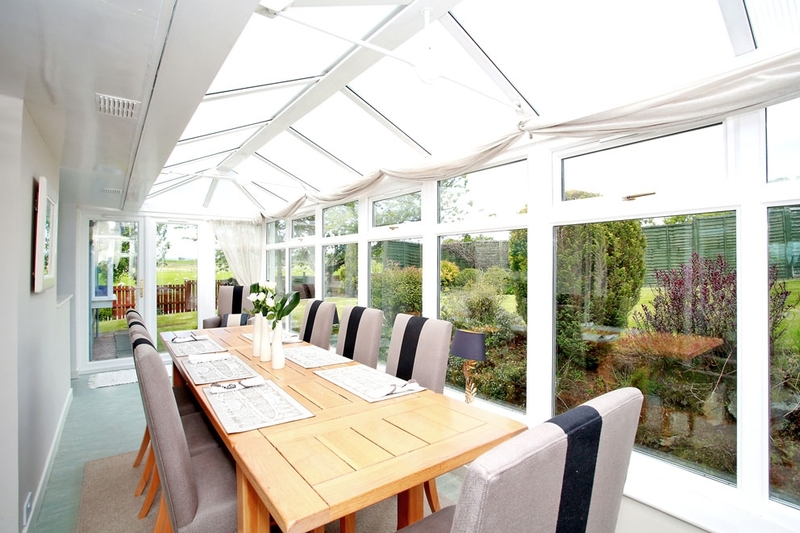 The lounge/dining room is an exceptionally bright, well appointed room with patio doors giving access to the conservatory. This is a pleasing additional to this quality property and enjoying an outlook over the garden, perfect for entertaining as it is on semi open plan to the kitchen. 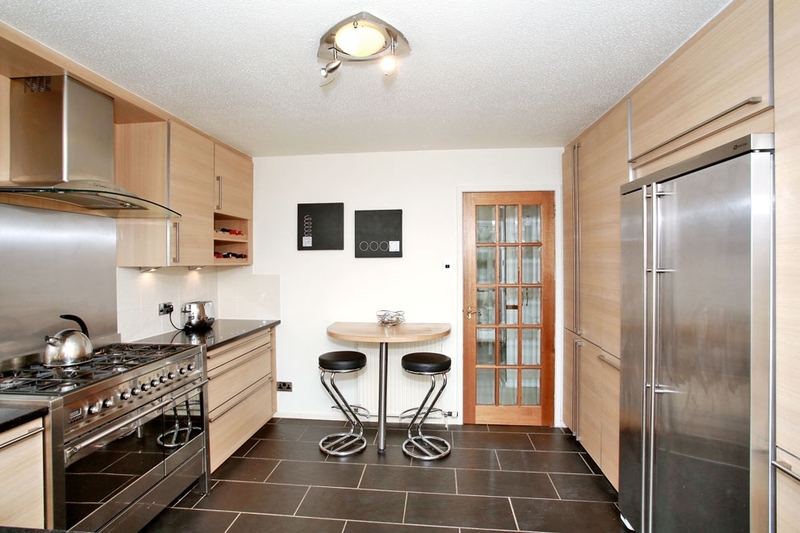 The kitchen was completed by Drumoak Kitchens to an exceptionally high standard featuring an excellent range of units enhanced by granite work surfaces and slate tiled flooring. 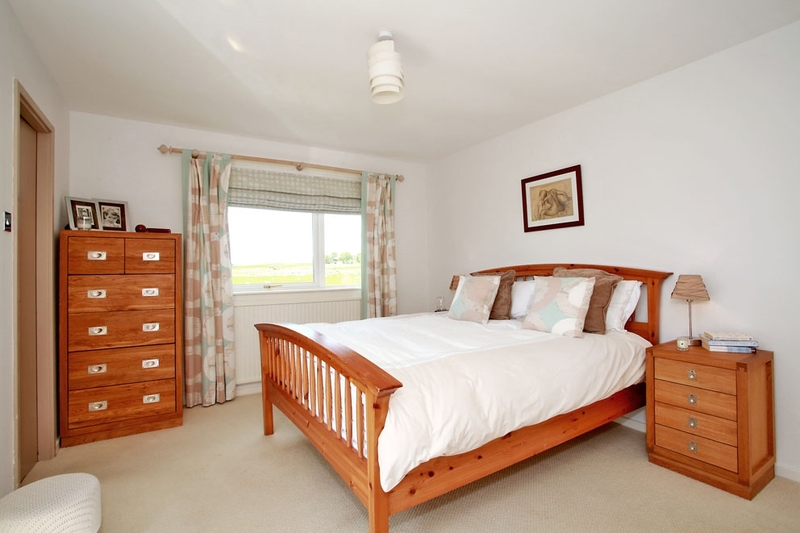 The master bedroom is located to the side and has a double built-in wardrobe and features an en suite shower room with mains shower and tiled areas. 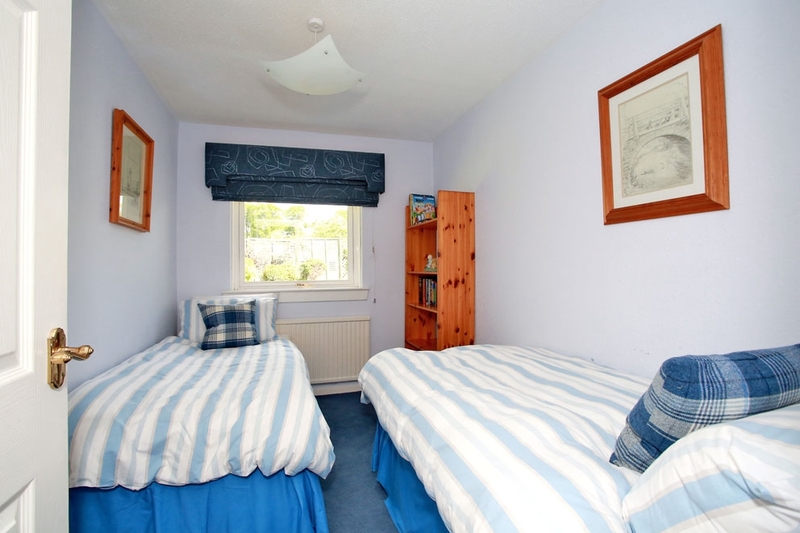 There are three further good sized double bedrooms, two featuring built-in wardrobes with the other one providing excellent space for free standing furniture. 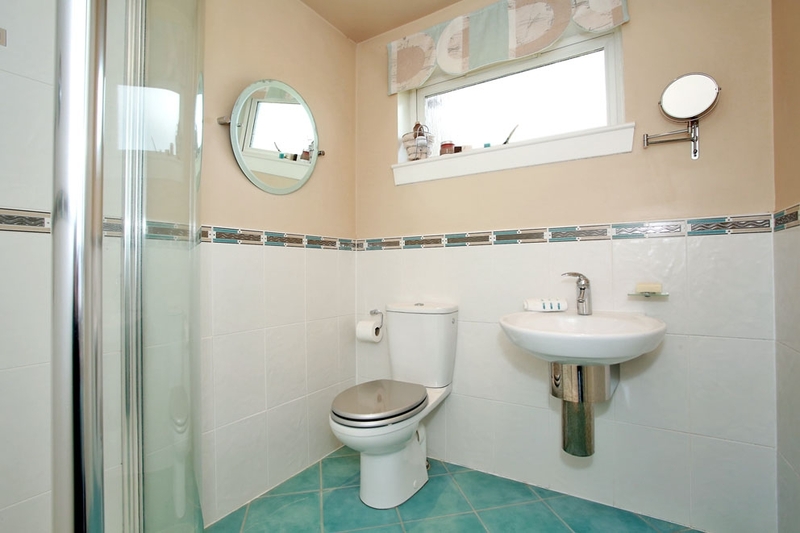 To complete this property is the bathroom which has a three piece white suite having shower located over the bath, extensive tiled areas and tiled flooring. 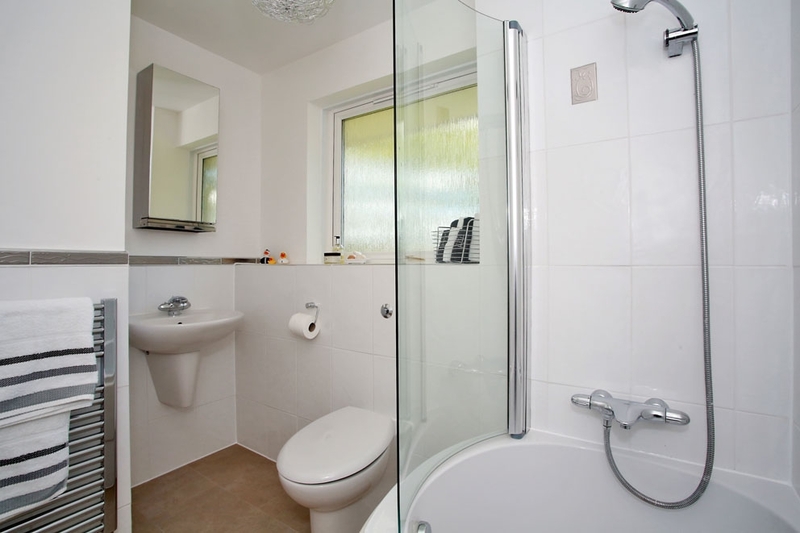 The property is serviced by full gas central heating, double glazing and is secured by an alarm system. The garden grounds to the property are beautifully maintained, a true delight, with the rear one offering an exceptionally private aspect. There is also a double garage and large tarred drive. HALL: Entry hall with two excellent sized storage cupboards, one accommodating the hot water tank and airing facilities. The area features a large wall mirror and gives access to most of the accommodation. CLOAKROOM: 5'2" x 4'11" (1.58m x 1.5m) approx. Located to the front of the property and featuring an opaque window. 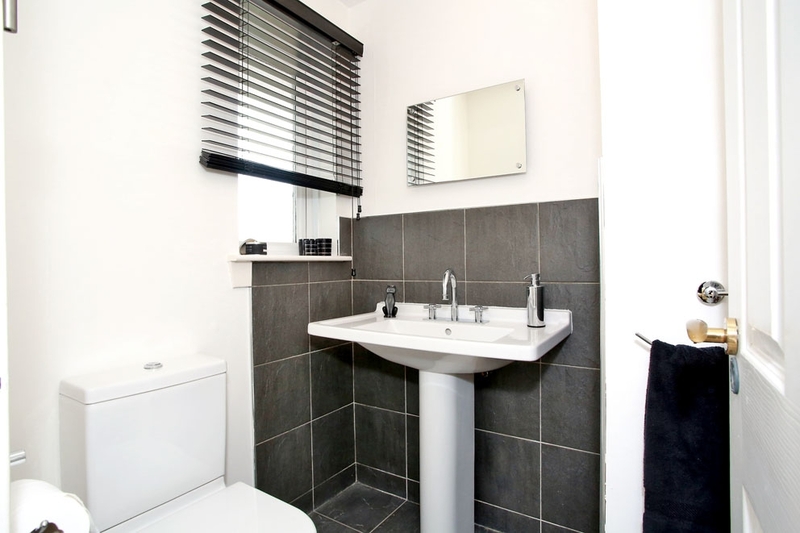 This room has a two piece modern white suite incorporating a large wash hand basin, grey slate tiling and flooring. 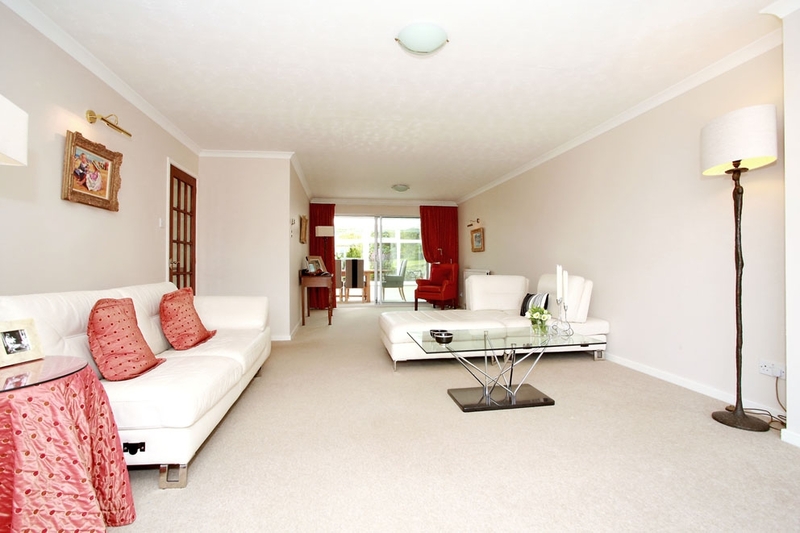 LOUNGE/DINING ROOM: 30'5" x 14'11" (9.27m x 4.55m) approx. An exceptionally bright, spacious room having a large south facing picture window allowing it to benefit from excellent natural light. 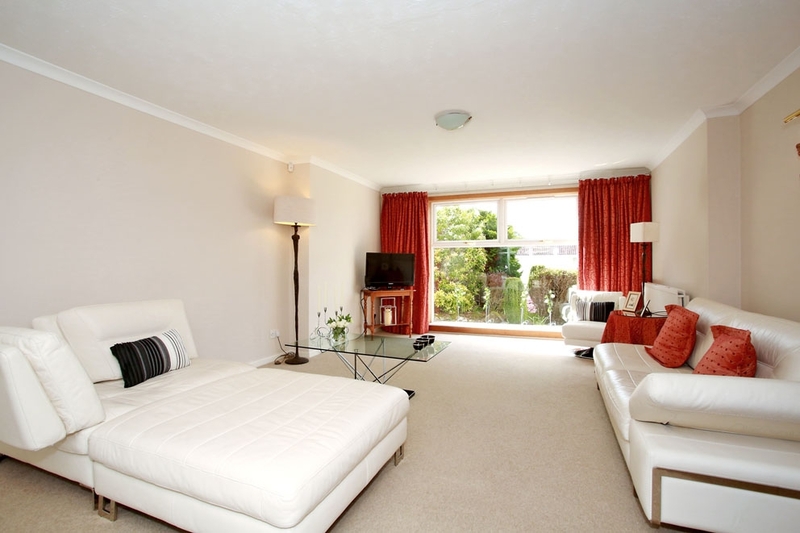 The room is enhanced by neutral decor and carpeting and has sliding patio doors to the conservatory. CONSERVATORY: 21'6" x 8' (6.55m x 2.44m) approx. A pleasing addition to this quality property which enjoys a stunning outlook over the rear garden. Windows on all sides and double door leading to the garden. KITCHEN: 11'8" x 9'9" (3.56m x 2.97m) approx. On semi open plan to the conservatory, the kitchen was completed by Drumoak Kitchens to an exceptionally high standard featuring an excellent range of base and wall units completed with granite work surfaces, one and a half bowl sink and drainer with mixer tap, under unit lighting finishing off tiled splashbacking. 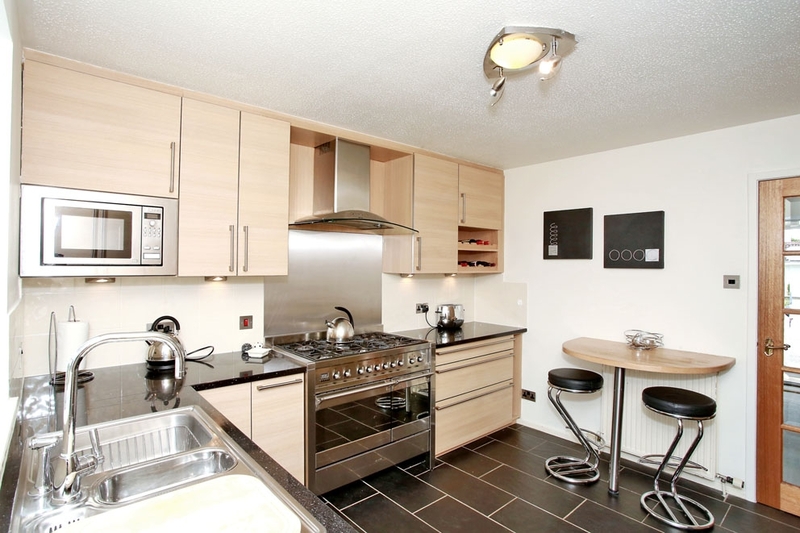 Built-in Smeg range style cooker with stainless steel splashbacking and overhead extractor hood. To remain are the Bosch dishwasher, large American style fridge/freezer both in stainless steel, concealed washing machine and tumble drier. Wall mounted half circle breakfast bar with seating for two. Slate tiled flooring. BEDROOM: 13'4" x 13'1" (4.07m x 3.99m) approx. 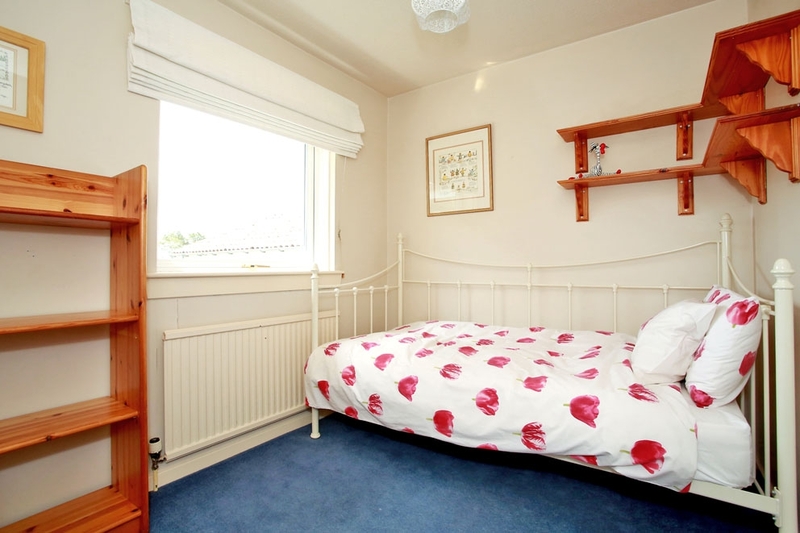 A further well proportioned double bedroom which has recently been carpeted and decorated enjoys a box bay window which would make a pleasing seating area and enjoying an outlook over the rear garden. BEDROOM: 11'5" x 7'4" (3.48m x 2.24m) approx. A further good sized double bedroom located to the rear of the property and having a built-in wardrobe. BEDROOM: 9' x 7'6" (2.74m x 2.29m) approx. This is excellent as a bedroom or would be perfect for study purposes, with a storage cupboard and window to front. BATHROOM: 8' x 5'2" (2.44m x 1.58m) approx. Featuring a modern white three piece suite with shower located over the bath completed with tiled areas and rigid shower screen. The tiling continues to dado rail height on remaining walls with wall mounted wash hand basin and WC with concealed cistern. OUTSIDE: The property is set within stunning garden grounds laid to gravel and shrubbed areas to the front of the lounge window, a large tarred drive giving access to the garage and a further lawn area finished with gravel and shrubs. The rear and side gardens are fully enclosed by fencing, with the rear one having a raised lawn with mature hedging providing a high degree of privacy. There is a further lawn featuring mature shrubs, trees and bushes. Wooden gate to side. GARAGE: Large double garage with up and over door to front, power, light and accommodating the gas central heating boiler. Further door to rear garden. LOCATION: Milltimber is a much sought after suburb linked to the city by an excellent commuter road and good public transport facilities. It also has the benefit of good education at local primary schools with Cults Academy within the catchment area for secondary education. 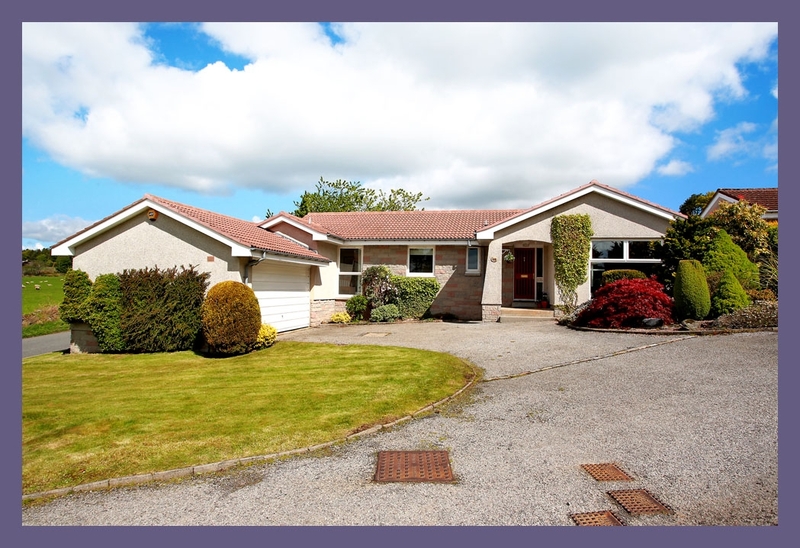 There are good recreational and leisure amenities with shopping catered for at nearby Peterculter, Bieldside and Cults, whilst Milltimber enjoys direct access to Royal Deeside. 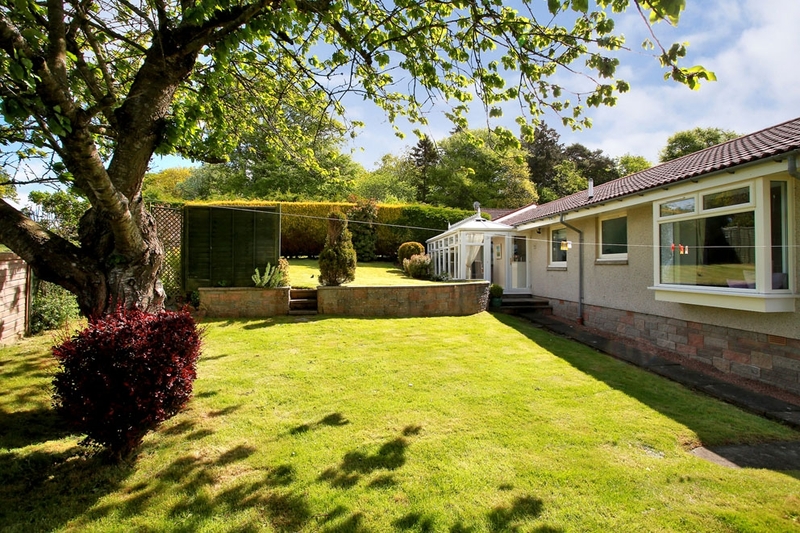 It is also particularly convenient for commuting to Westhill, Kingswells, Bridge of Don, Dyce and Aberdeen Airport. DIRECTIONS: Travelling from Aberdeen via Great Western Road onto North Deeside Road proceed through the suburbs of Cults, Bieldside and then onto Milltimber. Continue a good distance through Milltimber and Contlaw Road is situated on the right hand side with No. 108 located to the very end of Contlaw Road on the right hand side. It is the first property within the development to the left.